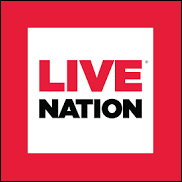 LOS ANGELES (CelebrityAccess) — Live Nation Entertainment announced the hire of Patricia Flores to serve as the VP of Marketing for the company’s newly-launched Live Nation Latin group. Based in Los Angeles, Flores will report to Hans Schafer, SVP of Live Nation Latin. Flores is no stranger to the live Latin music sector and prior to joining the Live Nation team, and did stints at Goldenvoice and AEG Concerts, where she oversaw marketing campaigns for major Latin music acts including Mana, Juanes, JLO with Enrique Iglesias, Enrique Iglesias with Pitbull, Prince Royce, Calle 13, and Los Fabulosos Cadillacs. While there, her responsibilities included everything from tour branding to digital ad allocations and fan engagement across the company’s social media facing. Highlights from her tenure with AEG include working on Marco Antonio Solis comeback tour, that included two sold-out in-the-round shows at STAPLES Center, as well as with Gloria Trevi and Alejandra Guzman on their successful Versus Tour. Prior to joining the AEG team, Flores toiled for almost a decade at Universal Music Latino in both Los Angeles and Miami, initially developing artists for the company’s Latin Alternative roster and then on a national level for the label’s entire roster.